Test cricket is the ultimate form of cricket which tests a cricketer for a period of 5 days. Though the ODI and the T20 format lure more audiences to the stadium, it is the Test format in which every cricketer would want to excel. At present, 10 nations have Test status and in the next couple of months, there will be 2 additions to the list. Ireland will become the 11th Test playing nation when they will battle it out in their maiden Test against Pakistan in Dublin starting 11th May 2018. It will be a memorable occasion for all the Irish fans who come out in large numbers to support their cricket team. India will host Afghanistan for their maiden Test in June 2018 in Bengaluru. It will indeed be a historic moment for the Afghanistan team who have been impressive in the shorter formats of the game. Let's go down the memory lane and see how the current 10 Test playing nations fared in their maiden Test. 15th March 1877 saw the first Test in the history of cricket between England and Australia at Melbourne. It was a timeless Test. 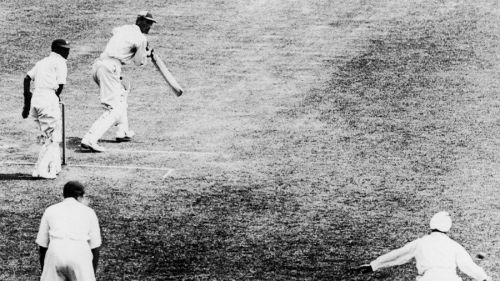 Australia won the toss and elected to bat and scored 245 runs in their first innings with Charles Bannerman becoming the first batsman in the history of Test cricket to score a century. Bannerman scored an impressive 165 of 285 balls which included 18 boundaries before he retired hurt. England were bowled out for 196 in their first innings with William Midwinter from Australia becoming the first bowler to take 5 wickets in an innings. Australia were bundled out for a paltry 104 in their second innings leaving a target of 152 for England to win the first ever Test. England were crushed for just 108 and Tom Kendall from Australia picked up 7 wickets. Australia triumphed in the first ever Test by a margin of 45 runs. When did each Test playing nation get their first ever innings victory?